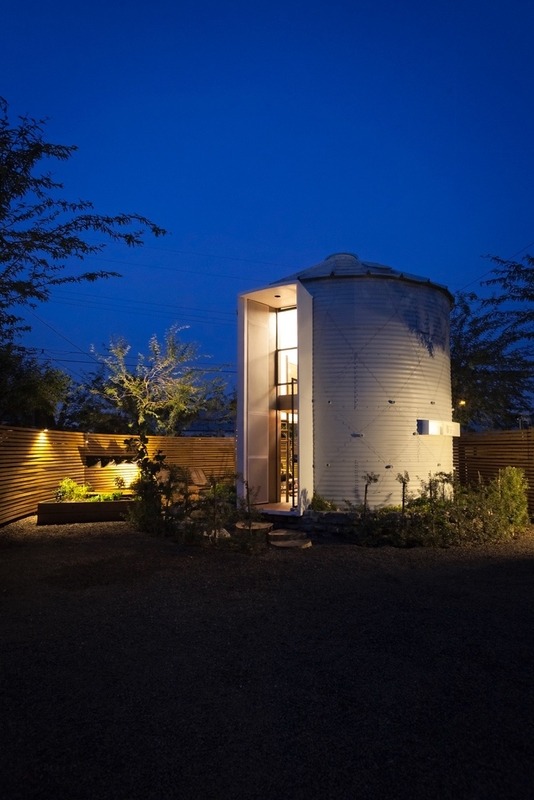 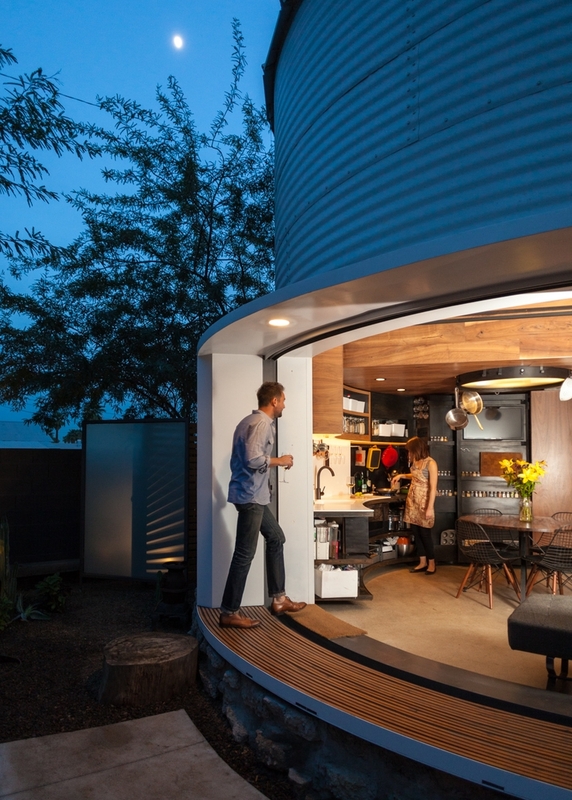 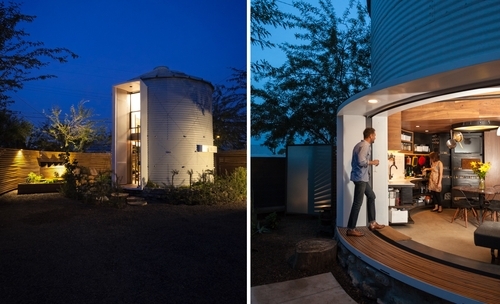 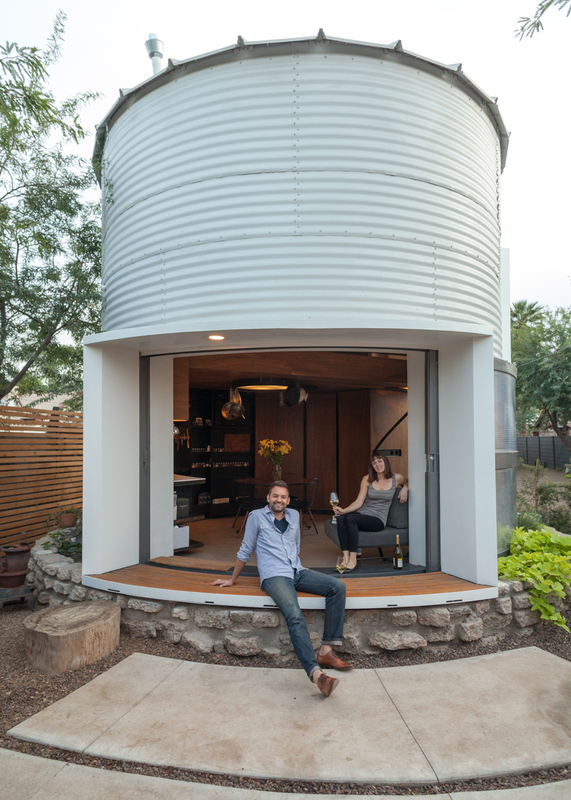 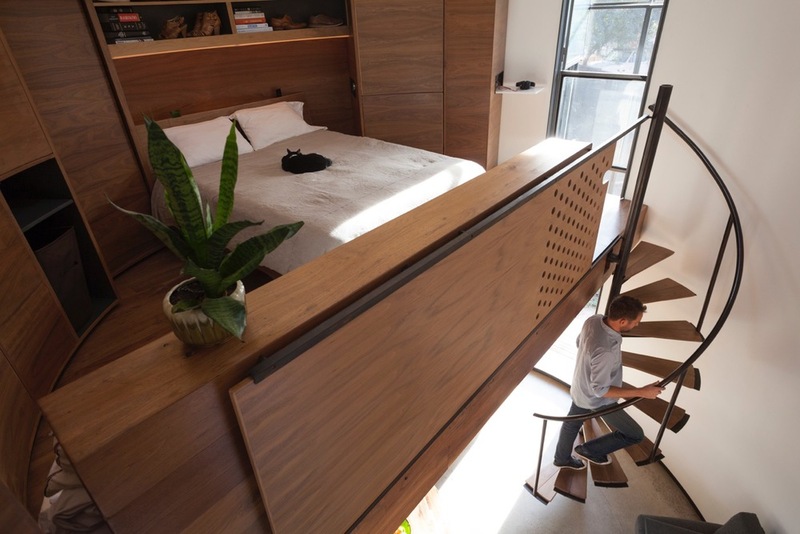 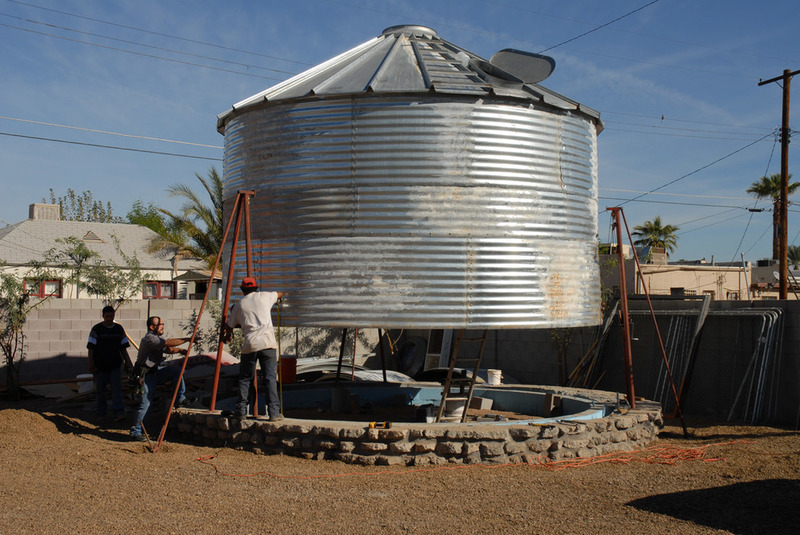 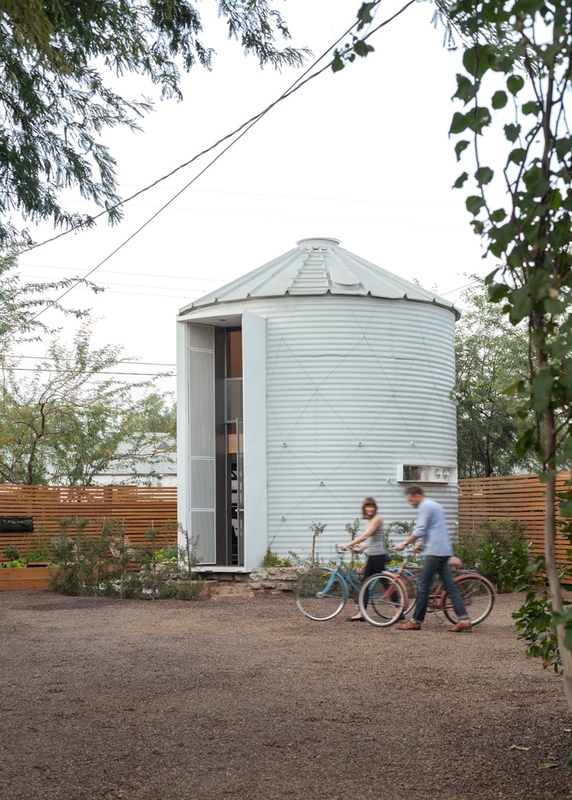 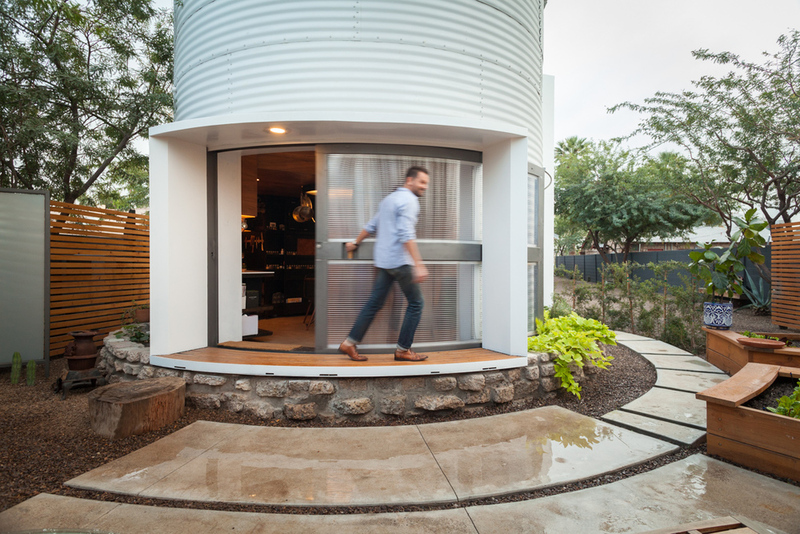 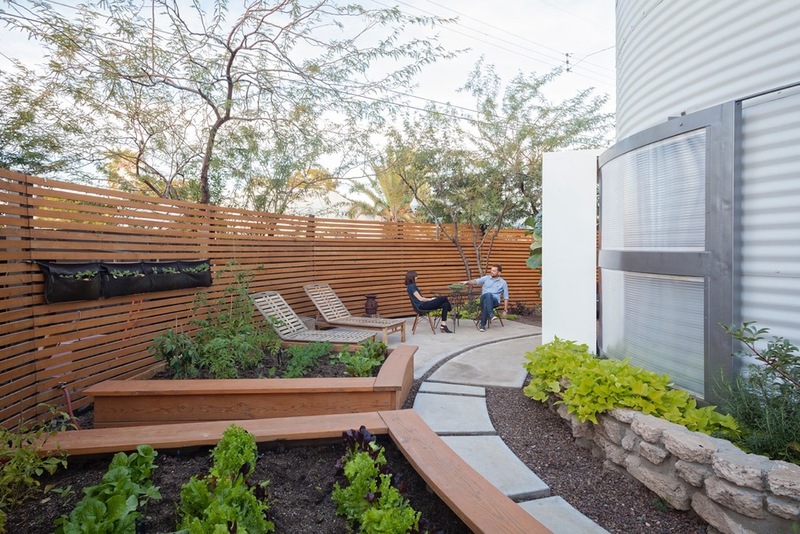 Architect Christoph Kaiser successfully Converted this 1955 corrugated steel-wall grain silo into a home in down-town Phoenix in the US. 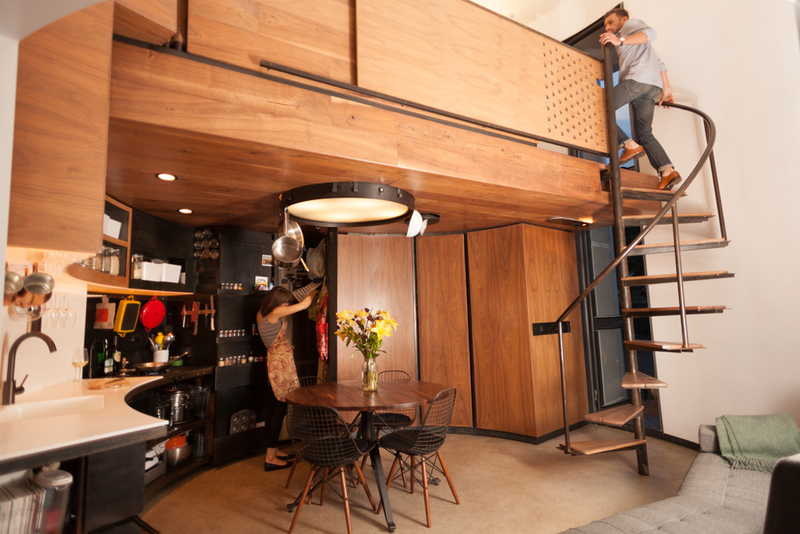 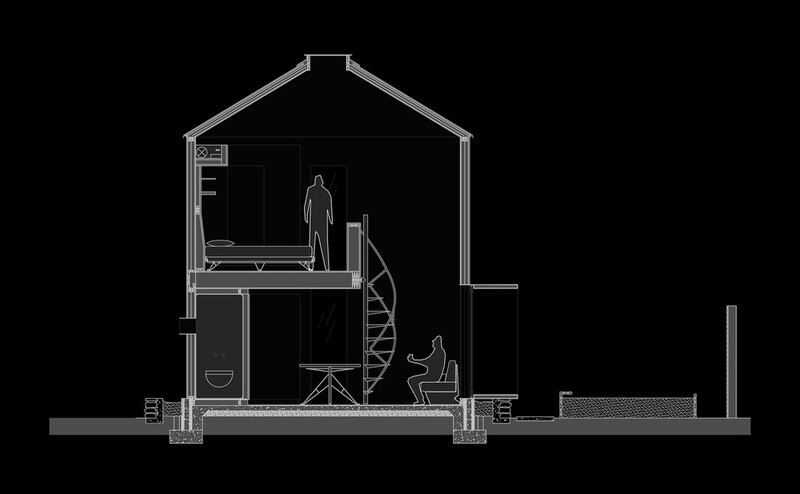 The home has a 230f² (21m²) footprint with a total 340f² (31.5m²) liveable space. 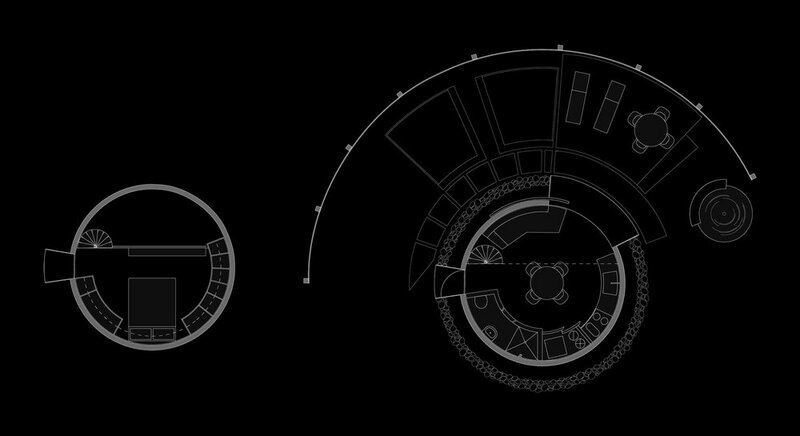 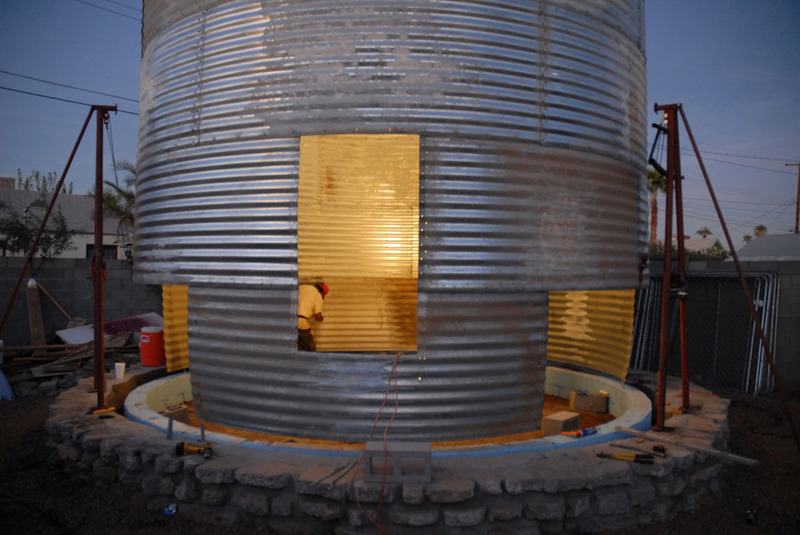 When constructing homes, we are used to nice square 90 degree walls, so working off of a circular structure, posed some challenges. 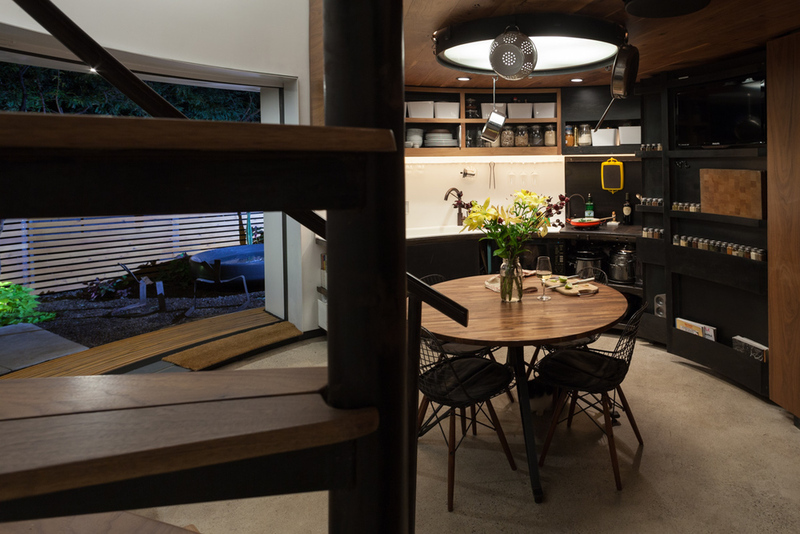 Keeping the design simple and with the addition of an upper floor, with a skylight, made sure that all of the essentials were able to be incorporated. 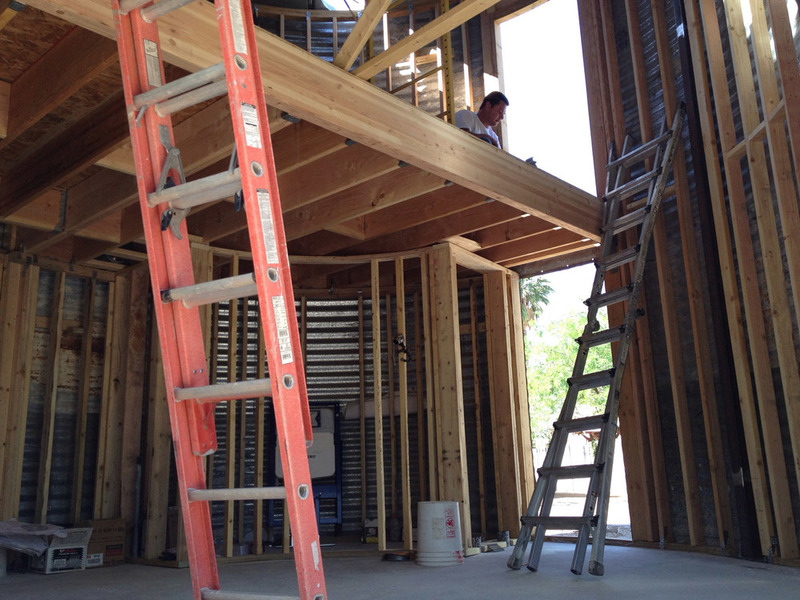 More images below, including construction shots. 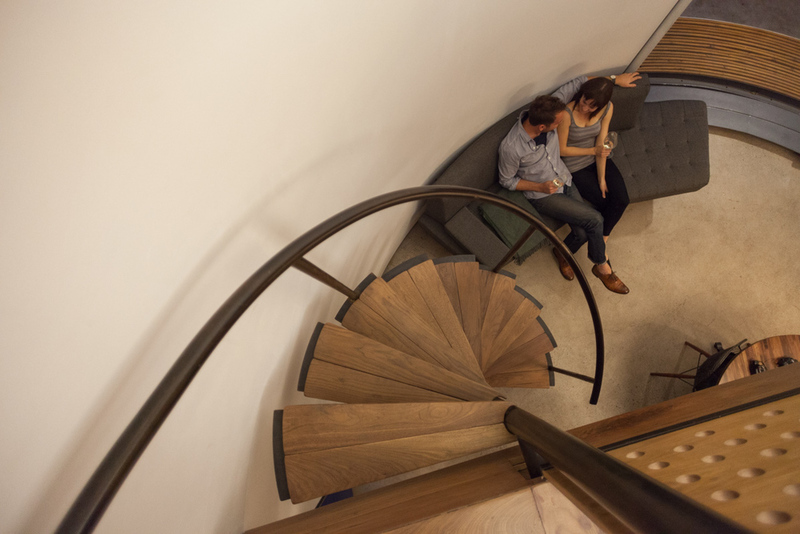 Photography by Mark Lipczynski. 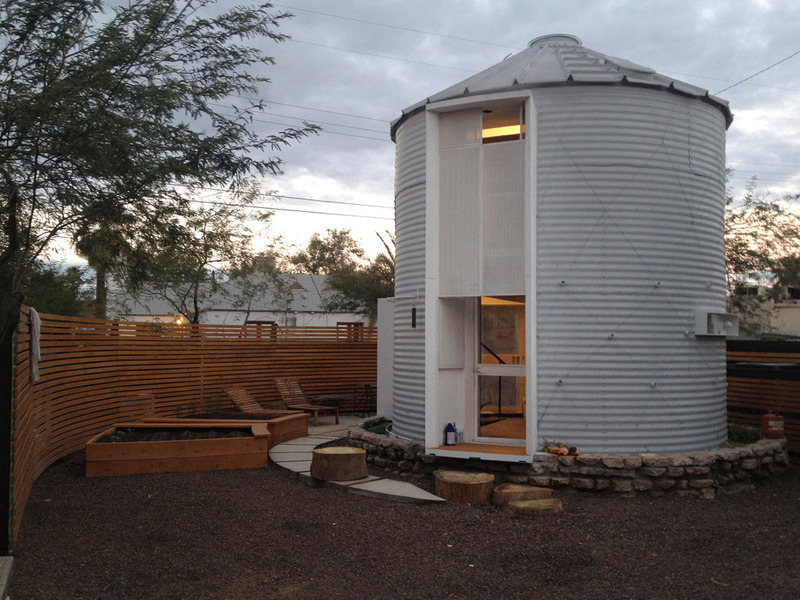 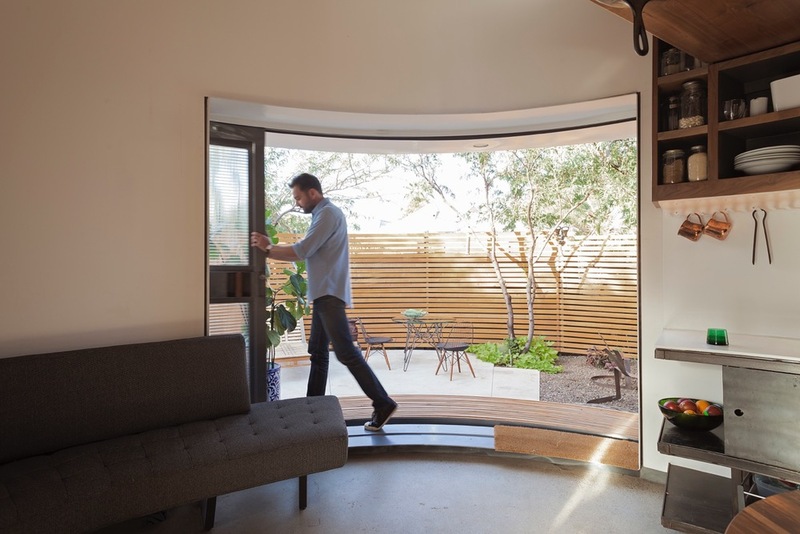 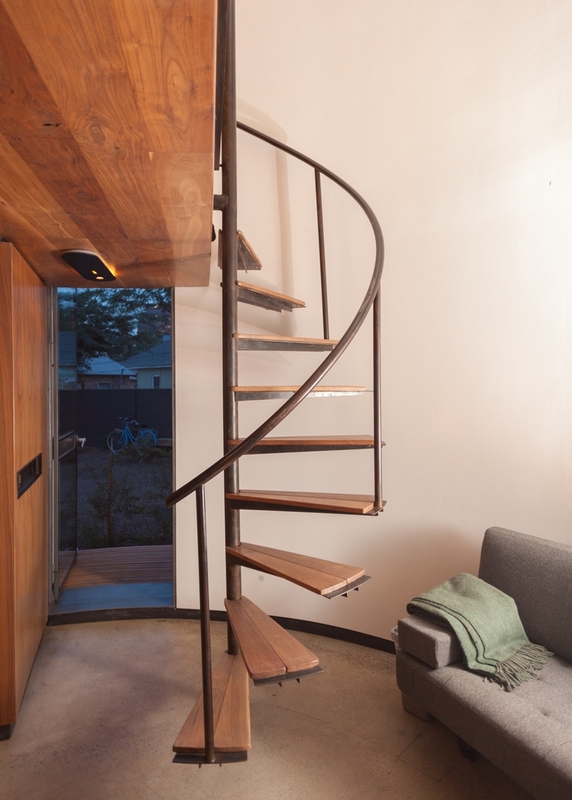 We have another Silo conversion here on DesignStack, following is the link: Architecture in The Silo Tiny House.